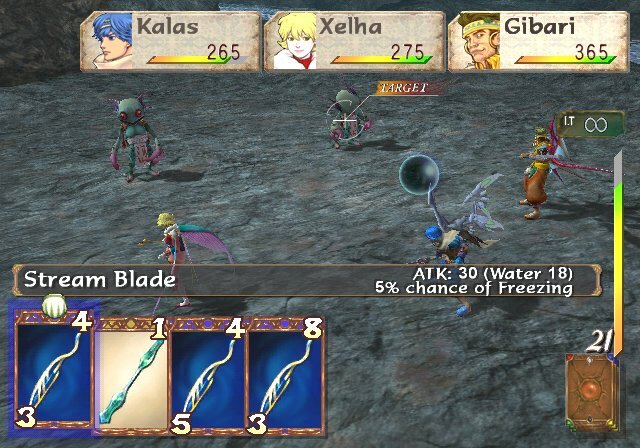 When I first heard of Baten Kaitos, I was very skeptical. The images I had seen showed a battle system using cards and I wondered if that system would work well and not annoy the player. In addition, I was not too attracted to the game’s character design. But, that is just surface. I also wondered how a game – whose title you hardly know how to pronounce – will sell. Anyways, as it is an RPG, I had to try it. I was really curious to see what I had bought so I had to start playing right away. The first thing that strikes you is the graphics, which is something of the most enchanting and imaginative I have ever seen. The team has really gone all out and you want to make progress in the game to see what else they have come up with, in terms of cities and worlds. At the same time you want to return to all those magical places you have already been to. 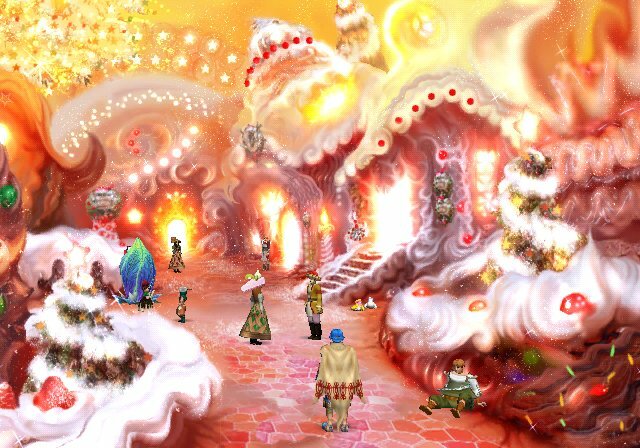 You simply cannot get enough of these graphical fireworks that Baten Kaitos offers. All the different islands and the world map itself is blossoming with fantastical colors and the dungeons are all unique and as luck will have it, they are not too hard, nor too easy. Now onto the battles – how do the cards work? Allow me to outburst; it works so freakin’ well! I enjoyed every battle. The deck is always shuffled differently for each battle, which results in tactics and luck both being important. Amazing. For the first time I have played an RPG with no menus within battles! 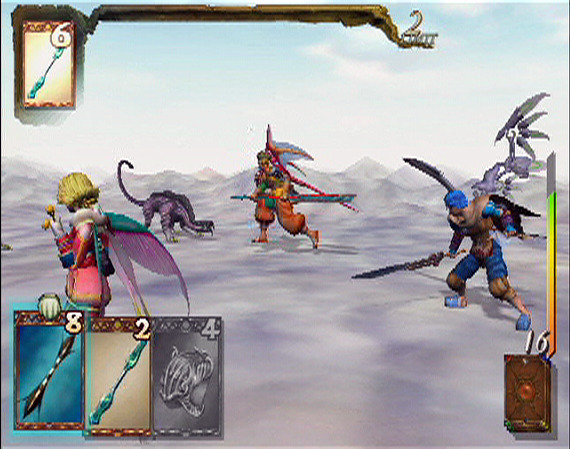 The battles start and function quickly, and the developers have made excellent use of the controller. For example, you can choose cards with either the C-stick or the A-button. The C-stick makes it easier to form pairs or straights which results in you dealing greater damage to the enemy. The cards, called Magnus, are all like tiny pieces of art. No card is the same as the other and it is always exciting to receive a new one. Some cards change over time, for example fruit can rot and a card that usually is used for healing purposes now deals poison effect to the enemy. Some Magnus are quest-cards that you can use to help people with different things and in return get new battle-Magnus. There are a few fun side quests in this game, some easier than others. My advice is to try and work as many of them out, the longer you get to stay in this world the better. The score is done by one of my favorite composers – Motoi Sakuraba. 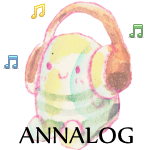 (He has been busy lately; Star Ocean till the End of Time, Tales of Symphonia and Baten Kaitos in a short period of time.) 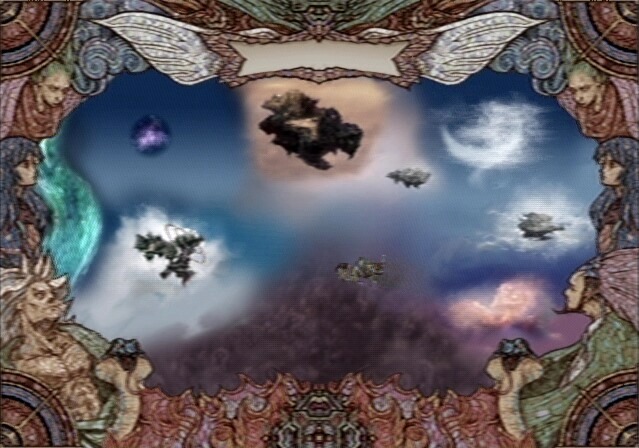 The soundtrack to Baten Kaitos is one of the best he has ever done. His music is grand as usual; he has used strings and wind instruments to create some of the most memorable pieces of music I have ever heard, for example To the End of the Journey of Glittering Stars. If you are not touched by it, you cannot be considered human. 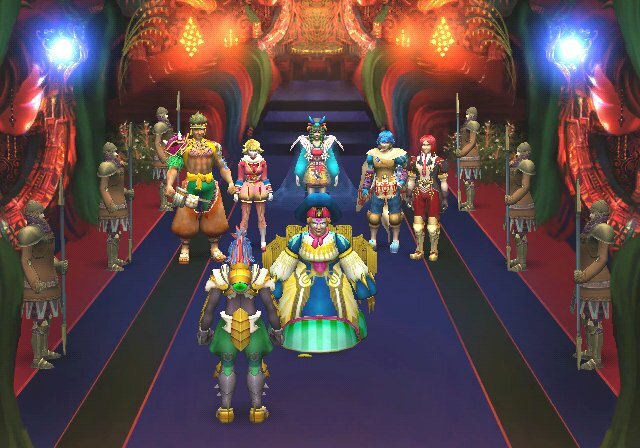 Unfortunately Baten Kaitos is a victim of something so many other RPGs suffer from – bad voice acting. Some characters talk so incredibly slow and snotty that it becomes embarrassing and weird, and you can really tell that people have stood in a booth recording their manuscript one by one without ever interacting with the other actors. That is a shame, because if people interacted the voices would probably be much better. Luckily you can turn off the voices in the menu if you wish to do so. The story is very good in my opinion. 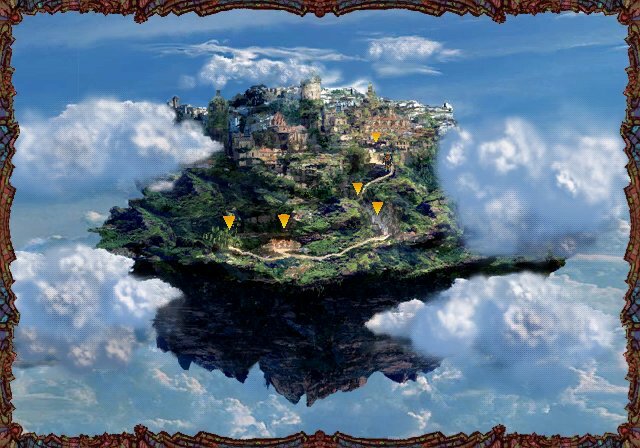 I have actually never played an RPG that has kept huge secrets until its last breath. I have never seen anything so complex and full of intrigues. It was really interesting to follow the characters’ development and I was shocked on more than one occasion. 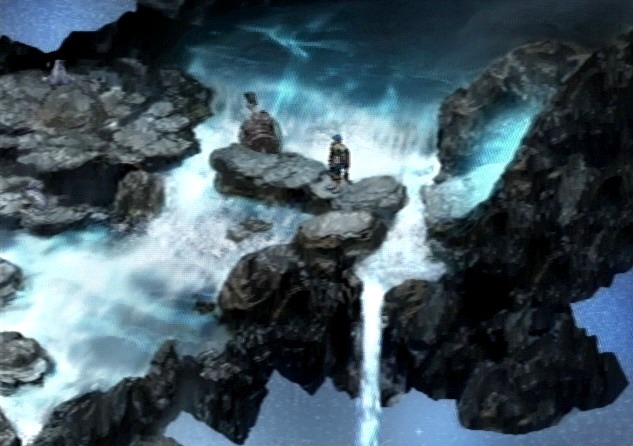 But, bad voice acting aside, I do not think I will play a better game than Baten Kaitos in a long time. 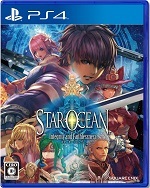 60+ hours of game play, 2 discs packed with ear and eye candy, lots of puzzles, difficult bosses, and plenty to discover. 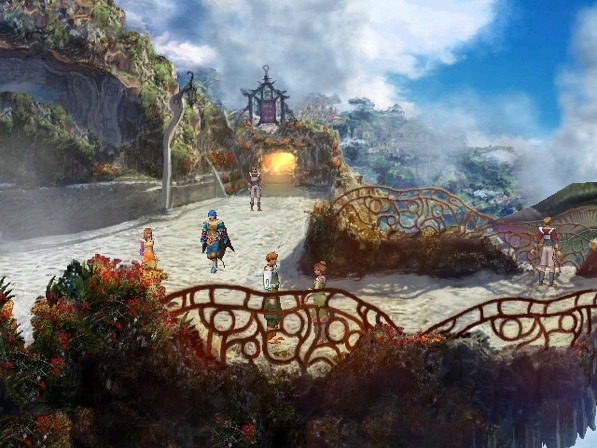 If you only buy one RPG this year, let it be Baten Kaitos.